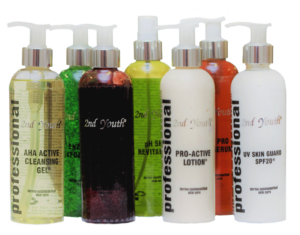 The 2nd Youth® Professional Salon Range consists of 11 products except for the Peel Range and the Spa Range. All treatment products contain active ingredients, same as the Home Care products, but with the difference that it is 20% in strength (double to that of the Home Care products). Only qualified beauty therapists are allowed to use the Professional Range in a 2nd Youth® accredited and appointed salon or spa. Beauticians should attend the full 2nd Youth® Educational Training and Examination to be able to perform treatments with the Professional range. 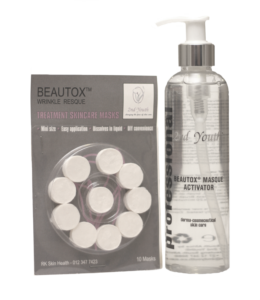 These items are exclusively used in salons or spas and may not be retailed or made available for resale.